Here we reveal key elements to help you add value to your recruitment process (if not already). Shortlisting involves the identification of candidates from either a talent pool or database of registrations/applications who best meet the required and desired criteria for your vacancy. These candidates you’ll want to move forward onto the next step of your recruitment process. Sourcing and finding candidates is a simple process, provided you have access to the ideal database of candidates, but the proportion of which reach a job specification criteria or specific requirements to increase the conversion rate is a little more difficult to ensure. That is why screening is also an important process. Screening and shortlisting should happen simultaneously: as you screen candidate’s profiles it’s good to be able to shortlist instantly in order to relay back to employers the numbers of candidates shortlisted. The ability to generate lists of suitable candidates both pro-actively and candidate driven is the most effective method in ensuring high conversions in the application to hire process. While on the subject of having a pre-qualified list of candidates who are looking for vacancies, It’s important to mention that segmentation and candidate validation is another important step in the making for more efficient shortlisting and hiring process. Can you validate candidate’s qualifications or criteria quickly using for example the below? If not then how can you guarantee success? Shortlisting is ultimately a probability game. The greater your shortlist (not necessarily just in volume) the higher the chance of gaining a successful placement. An Applicant Tracking Systems (ATS) can add value and becomes a tool that allows you to streamline the hiring process and fill positions quicker by identifying potential candidates. Reaching out and directing candidates to opportunities ­– guiding candidates to the right opportunity. We know attraction is key in a competitive market, and without visibility to the right candidates, how do we reach and recruit the best? Reaching the right candidate is no new concept but finding out where these candidates are and promoting in these spaces continues to be a challenge for many businesses. It’s important to know which websites they are on, the platforms they spend time on and the methods in which they communicate. A great vacancy in the wrong place is a bad vacancy. Last summer we discussed the launch of Google Jobs. Customers of GetMyFirstJob and our Talent Platform, now have their vacancies instantly mirrored on Google Jobs. If you aren’t using the TalentPortal at the moment, you should check whether your ATS is feeding into the same and where else the vacancies are being featured automatically, to support the impact of candidate attraction. We discuss in detail how the future of recruitment is changing in our Google Jobs blog here. Having a system that allows you to be proactive? Attracting top talent is essential to the future of your organisation. 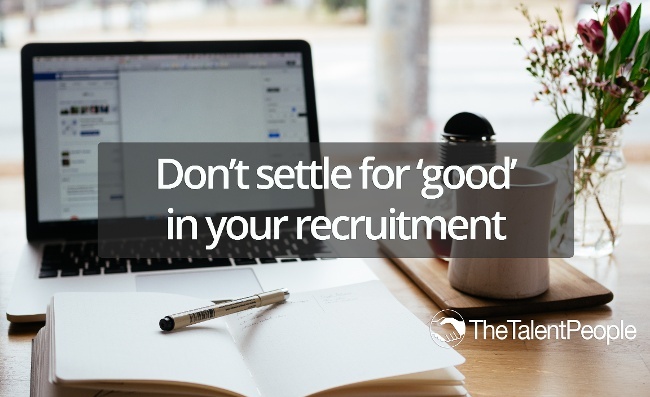 In today’s competitive job market, leading talent doesn’t always just appear, so rather than waiting for candidates to come to you, direct your efforts towards sourcing them. We discussed proactive search and include a case study on TheTalentPeople blog, 'They say patience is a virtue' but with GetMyFirstJob you no longer have to wait for applications; once your vacancy has been added, you can start searching the TalentPortal database for suitable candidates. We spoke with one of our long standing customers Truro and Penwith College on how proactive searching has reduced their time to fill by weeks. If you have the ability to proactively source candidates or can refine your search with the addition of also introducing your vacancy to individuals who are actively looking can be more effective in terms of successful fills. There’s also alternative options to reach out to individuals through different means of communication. These include text messaging, targeted emailing and social media. There are multiple case studies on how text communication has revolutionising candidates’ engagement, saved time and increased fill rates. The text credits on the TalentPortal increases efficiencies and compliancy into the process already mapped out by the platform. Read more on our blog: The Revolution of Reaching Out: A strategy to engage the Gen Z workforce! Candidate Retention: Can you keep candidates engaged so that they don’t drop out? There are two key elements in the quest for high candidate retention. One lays within the recruitment journey, and the second within the role itself. Transparency of the talent pool and the progression of candidates makes it easy to communicate to relevant candidates based on where they are in the process. When you can clearly identify the stage in the candidate’s application journey, you can respond accordingly and also manage their expectations, keeping them engaged in the role and up to date. Local Market knowledge: can you give advice to employers about their local employment market? Does your ATS or recruitment process allow for insight instantly? To be able to inform the recruiting employer of the number of candidates interested in the sector, within a 5-mile radius to those with driving licenses could be and often is of high importance. You should have access to key candidate metrics in order to translate this to your employers straight away. Being able to predict the role- fill capabilities of an area by looking at candidate interests, volume of individuals, age and more will increase efficiencies and promote better service for your clients. Hart Learning stated that the insight has become invaluable in relaying information to their employers and has broadened their knowledge of changing trends in the market of candidates. It also manages employers’ expectations and provides them with a better, more reliable service. Can you post an advert and received applications within 60 mins? When speaking to our customers we often find their biggest surprise is the simple integration of their roles into multiple websites and jobs boards when they post and advertise with us. This along with the speed at which they can post a vacancy ad. These approaches to speed and simplicity all provide dividends to the time to fill metrics. Employing diverse candidates and preventing unconscious biases is key to achieving our obligation of providing equal opportunities (Equality Act 2010) by remaining diverse in your thinking as an employer. Hiring objectively is good for business because it helps you hire the best person for the job without issue or bias. An inclusive workplace illustrates a positive and attractive culture and will promote itself in your continuous quest for Emerging Talent. Apprenticeships, like other important talent initiatives, should be aligned to corporate strategy and accountable to the same business metrics as other people-related programmes. Diversity and inclusion has become a strategic issue around the world. Business leaders now see diversity as a business priority from apprentices to the boardroom. There is strong evidence available that shows a link between an organisation’s workforce diversity and performance. For diversity recruiting to be effective, you can’t treat all diverse apprenticeship candidates the same, strategies to attract new apprentices should be tailored to each diverse segment. The GetMyFirstJob Database is very diverse, so ensures you have access to diverse audience and these candidates have access to the opportunities available to them regardless of their background. Our candidates have more than double the diversity ratio compared to national Apprenticeship Starts & National Population. Part 2: And for Colleges? How do I simplify the candidate journey and covert interest to the applications? How do I know how effective my candidate marketing is? Is my recruitment activity as complaint as my delivery? Can I report on my recruitment team’s performance?